Thanks for hanging folks and don’t forget that you can watch almost all episodes of AMT by heading over to our designated Twitch channel. 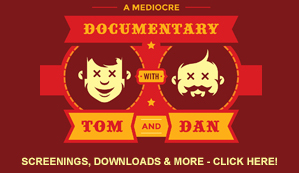 www.Twitch.tv/TomandDanLive – almost everything is there (No BDM shows sadly because those are for members only. Sorry.) and with Amazon Prime, you get it commercial free just for already being a Prime subscriber.